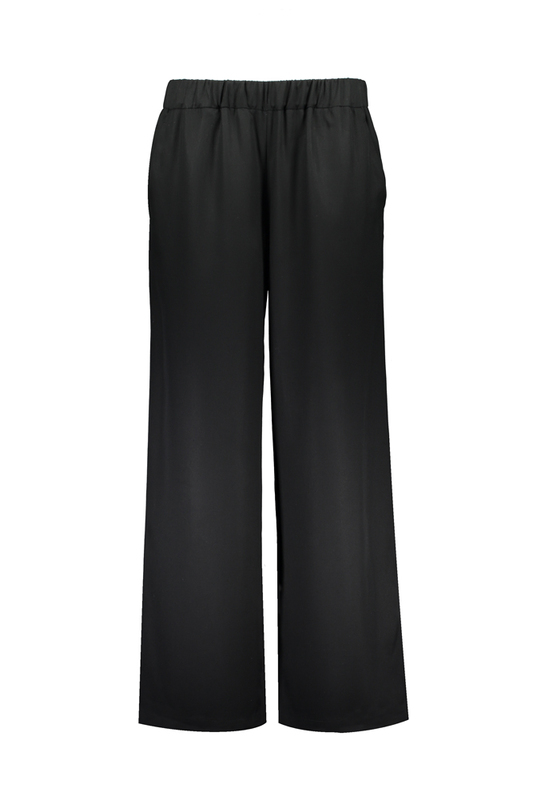 Relaxed, feminine and super comfortable trousers to be worn throughout the day and year. Elastic waistband, pockets in the side seams. 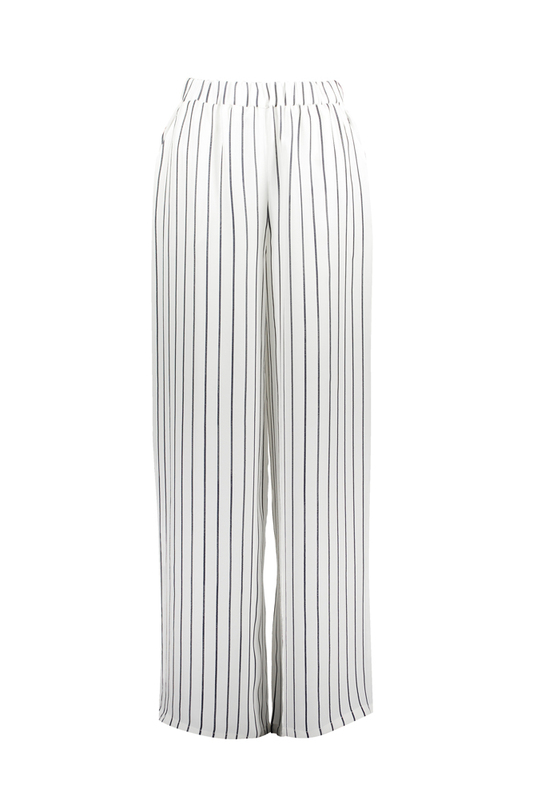 Fabric composition: 100% viscose (black&white striped fabric) or 100% tencel (black fabric). Care instructions: Delicate machine wash 30C, wash with similar colours, reshape when wet, do not tumble dry, ironing 110C.